Actors Robo Shankar and Vinod will be back in the film's sequel which is currently in the scripting stage. CHENNAI: Actors Robo Shankar and Vinod, who played Dhanush's sidekicks in Tamil action-comedy "Maari", will be back in the film's sequel which is currently in the scripting stage. "Maari 2" will go on the floors next year. Balaji Mohan will helm "Maari 2", and he recently got Dhanush to lock the final draft script of the film. "It is not sure whether the entire cast from the first part can be retained. However, Robo Shankar and Vinod will play their original characters. The rest of the cast might be finalised in a few weeks," a source from the film's unit told IANS. Kajal Aggarwal, who played the leading lady in "Maari", is yet to be signed on for the sequel. In "Maari", Dhanush played a dhoti-clad, moustache twirling don. 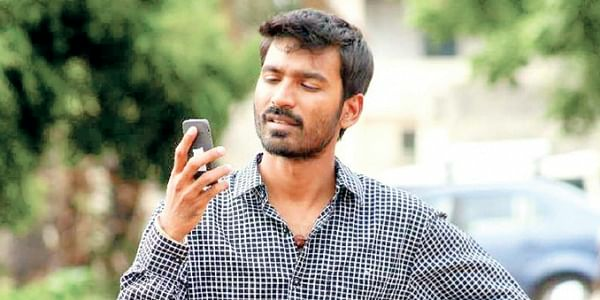 The project will be bankrolled by Dhanush's Wunderbar Films.